Plus: want to know how relatable you are with someone? 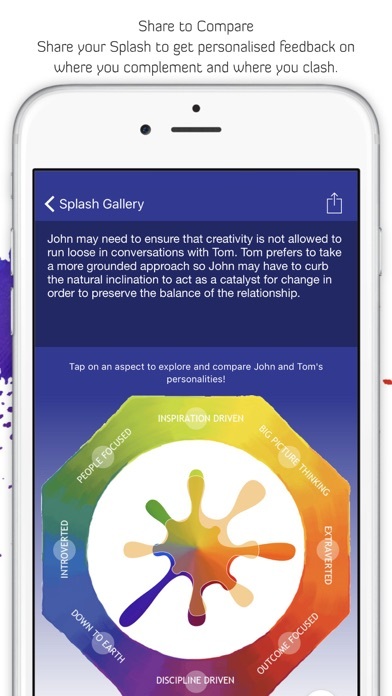 Find out by sharing your Splash with other Splash app users. 24 questions which take around two minutes to answer. 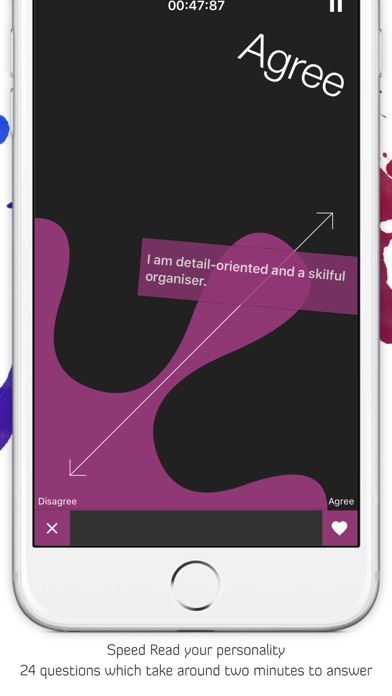 Quickly visualise how you scored on eight key aspects of your personality: Extraverted, Big Picture Thinking, Inspiration Driven, People Focused, Introverted, Down to Earth, Discipline Driven and Outcome Focused. 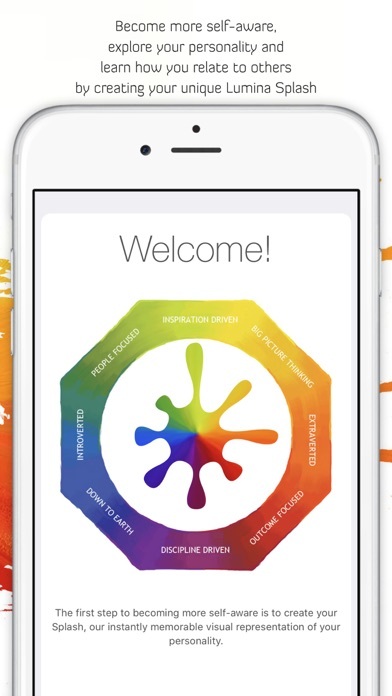 See the digital version of your Splash anytime during and after the course and get in touch with your practitioner. Simply scan a QR code on the paper version of your Spark portrait to import your Splash. Simply share your QR code with others and allow them to compare each of their personas with you. 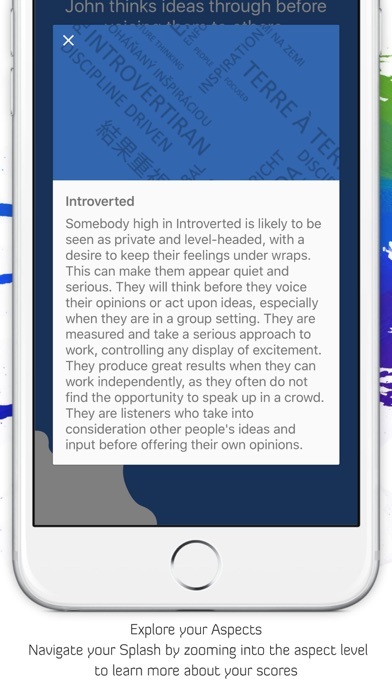 Speed Read your potential clients, learners, colleagues, friends and family from your own device. The Splash-O-Matic tool allows you to intuitively draw any Splash simply by pressing on and dragging each aspect's tentacle to the score you require.